I love that Fatshionologie has been resurrected by Becky. 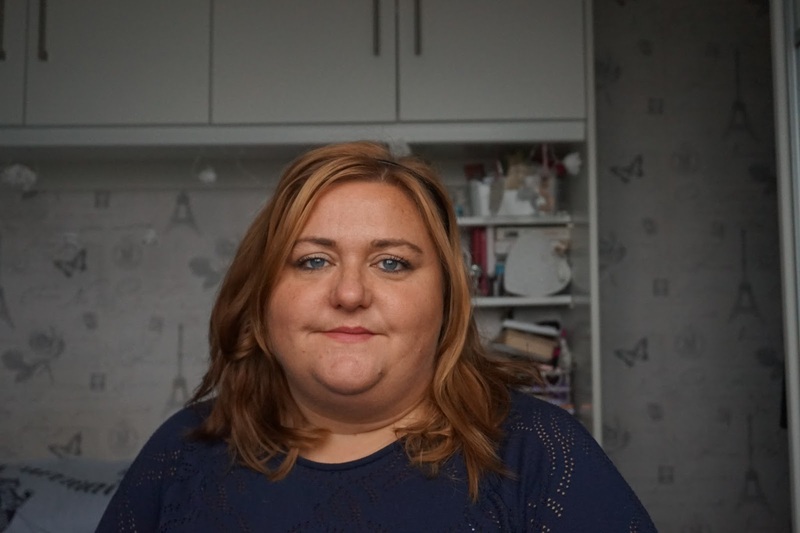 This time it's a blog hop rather than a fixed group of bloggers taking part. 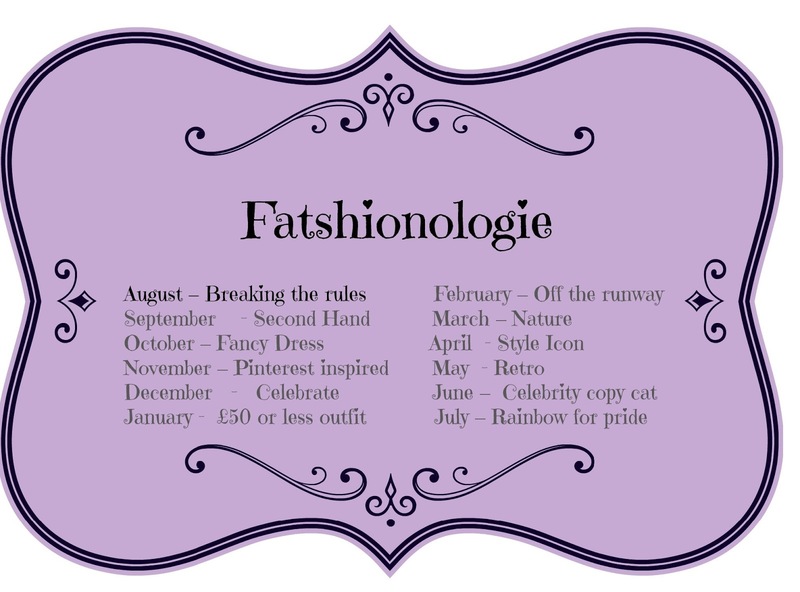 There is a list of monthly themes and if you have an outfit post that you feel fits with that post you link up. you can also put the widget on your own blog. Which means when you add the code and link up your blog link will appear on everyone's blog with the code. As it's a blog hop it is also polite to visit and comment everyone who has linked up. Second Hand is this months this month theme and I do have quite a lot of secondhand clothes. I'm quite partial to the odd charity shop bargain and I love a good clothes swap. 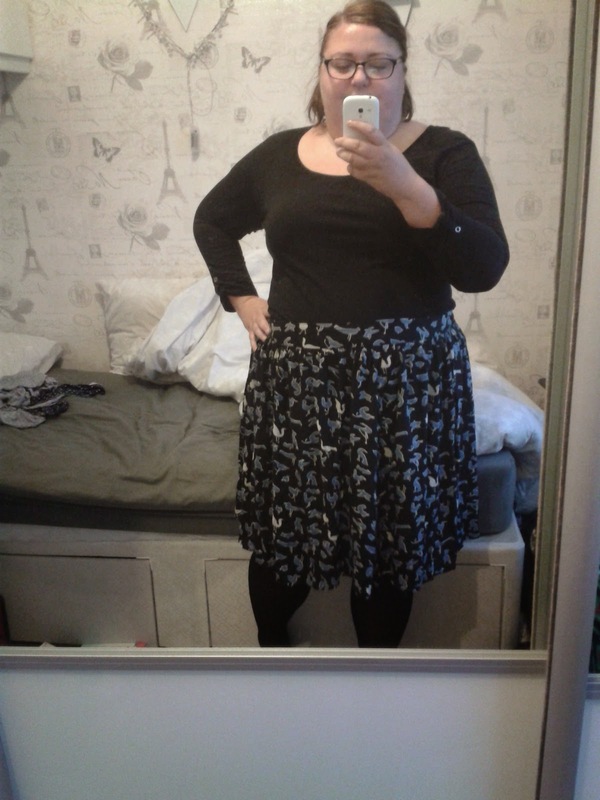 I got this amazing skirt from the Clothes Swap at Plus North at the end of last month. I love it. 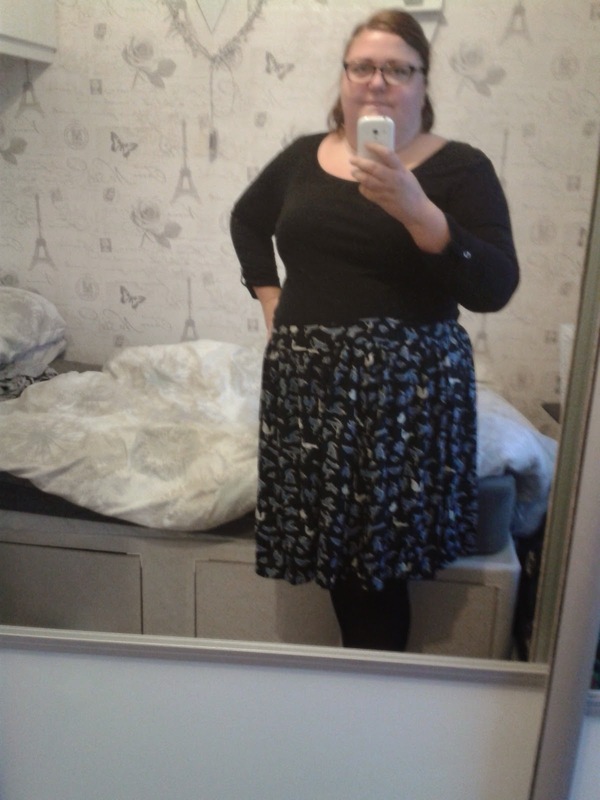 I really struggle to get skirts to fit that I like, that fit in the right place and are a decent length. This was originally from ASOS. I don't know how long ago it was bought or who took it to the swap but who ever you are THANK YOU! It's a good length for work and while i did have the usual spin and not sitting in the same place all day thing I get with most skirts. I was really comfy and I can't wait to wear it again. 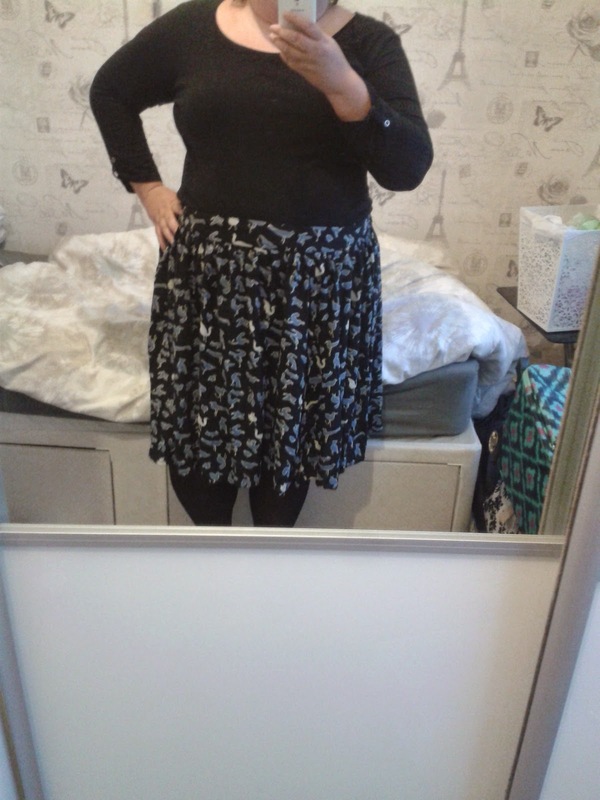 I kept it simple for work and wore a plain black top which I think is from Sainsburys and I actually wore tights!